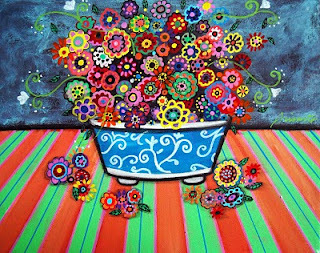 This painting is the 6th of my BLOOMS series. 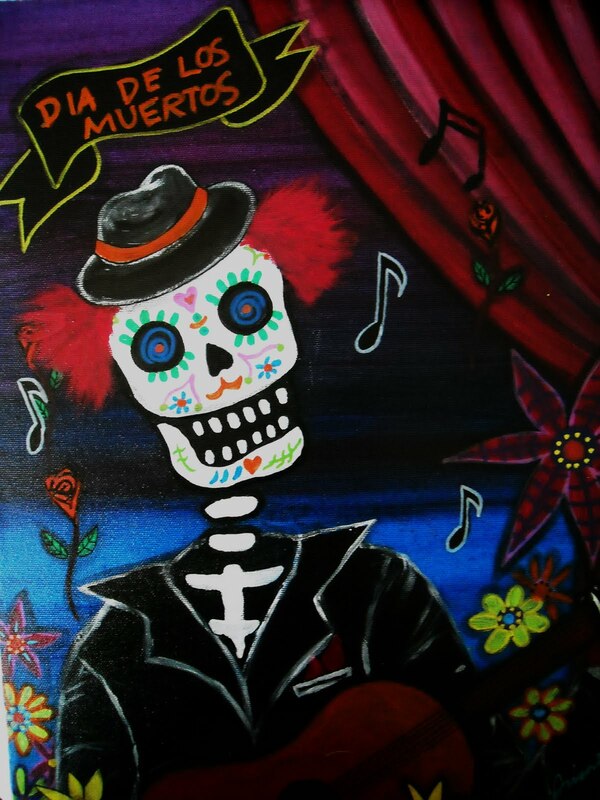 It was created using acrylic and oil paint on 9x12 stretched canvas. The painting continues to the side of the canvas. 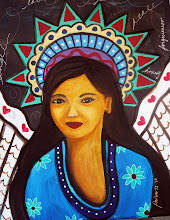 These paintings were commissioned by our dear friend Morna from Guam. 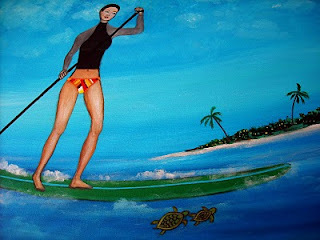 Her new hobby these days is paddle boarding. Hopefully soon her plans of opening a Stand-Up Paddle business in Tumon will materialize soon! These paintings were done in acrylic and oil on 24 x 30 stretched canvas board. This was done using acrylic and oil paint on 11x14 inches stretched canvas. 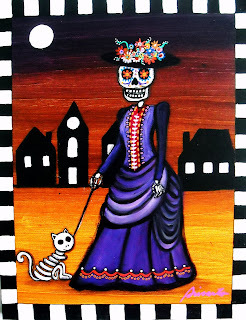 This is my version of Frida Kahlo in a Mexican Town. It is being sold at Prisarts Ebay Store. This was painted in acrylic and oil on 10x20 inches stretched canvas. 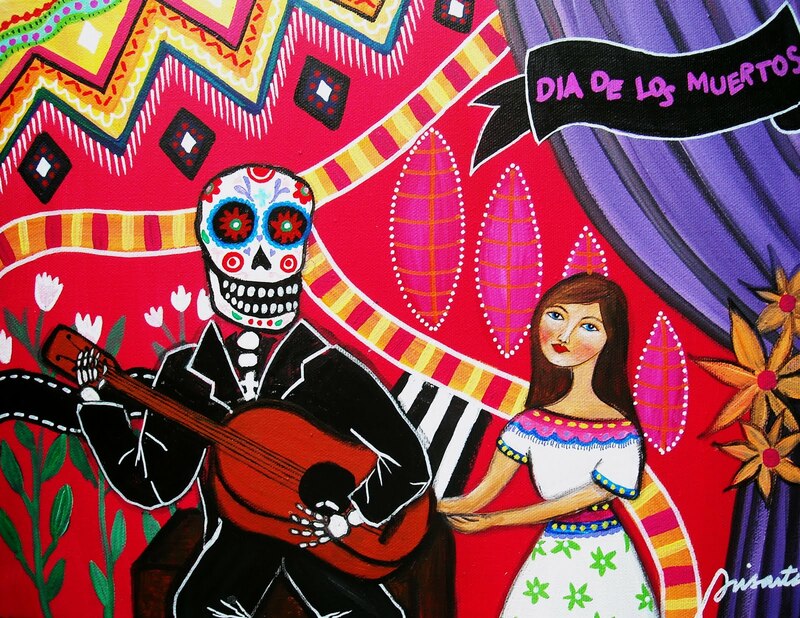 This artwork is being sold at OBJECTS OF ART GALLERY. This is done in acrylic and oil on 11 x14 inches stretched canvas. 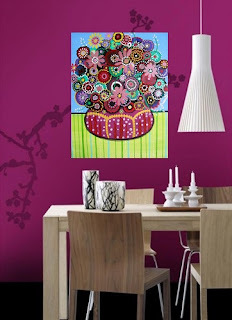 This floral painting is 4th of the BLOOM SERIES. Check art at OBJECTS OF ART GALLERY. Visit Zazzle for prints of PRISARTS artworks. 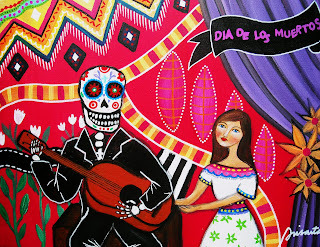 This painting is my Day of the Dead version of "Wedding". It is done in acrylic and oil on 11x14 inches stretched canvas. 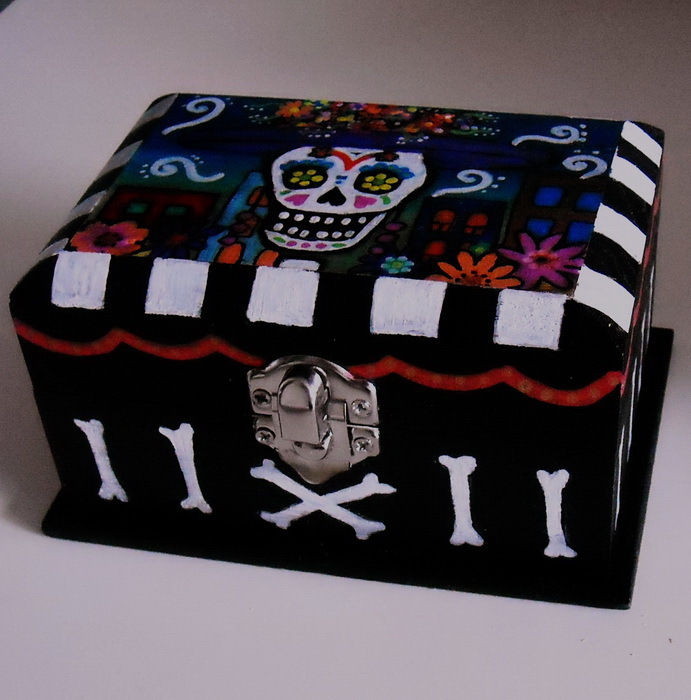 It is for sale at Prisarts Ebay Store. This is done in acrylic and oil on 9 x12 inches stretched canvas. 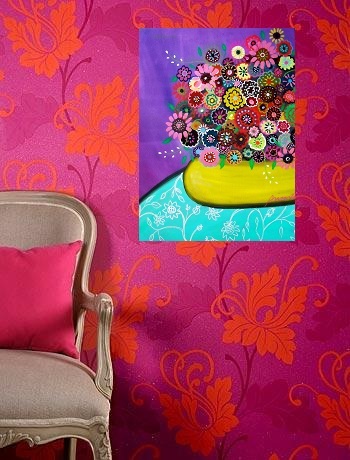 This floral painting is 4th of the BLOOM SERIES. 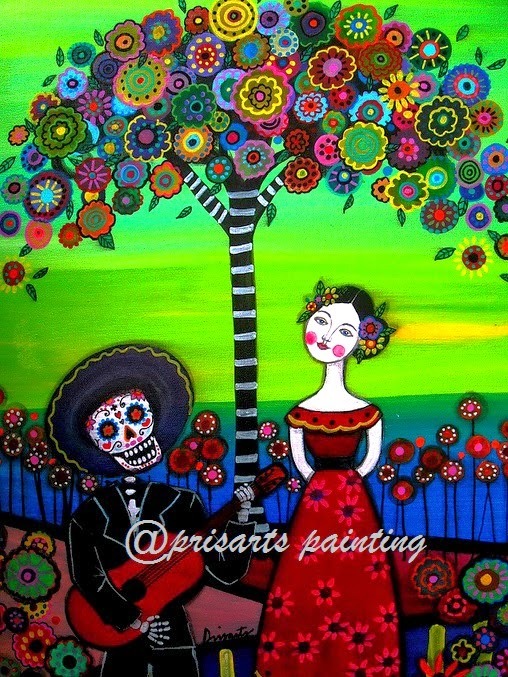 Check art at Prisarts Ebay Store. I made a painting of a colorful Mexican Town. I painted the town with colorful blooms, church and houses. 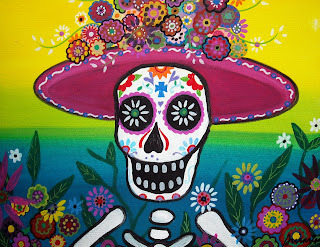 This is my version of Old Mexico. I hope you like it. 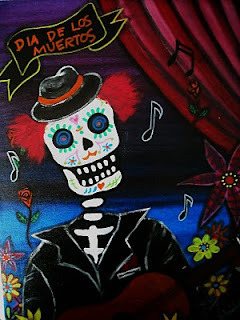 This artwork is on auction at my Prisarts Ebay Store. It will be shipped for free within US. 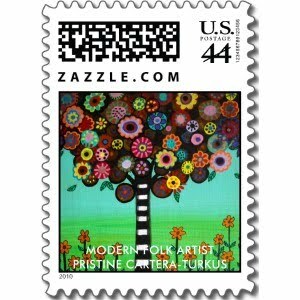 Stamps/Postage of Prisarts are now available at Zazzle. Prints of my artworks can be now purchased! Also available are mugs,shirts,ties,magnets, shoes and bags. Original Prisarts paintings can be purchased at my Ebay Store. This is my version of the "Tree of Life". 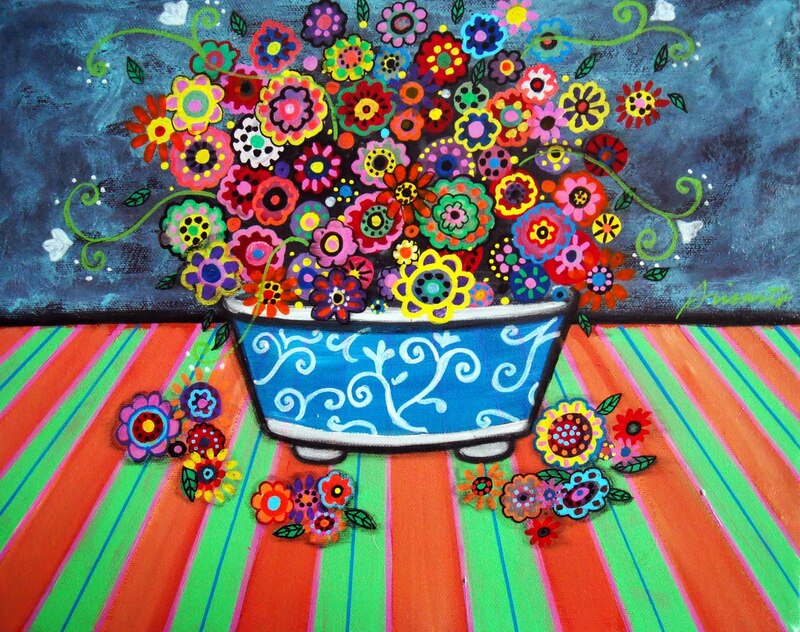 I like putting colorful flowers on my artwork. Incorporating the floral blooms together with the tree looks magnificent! 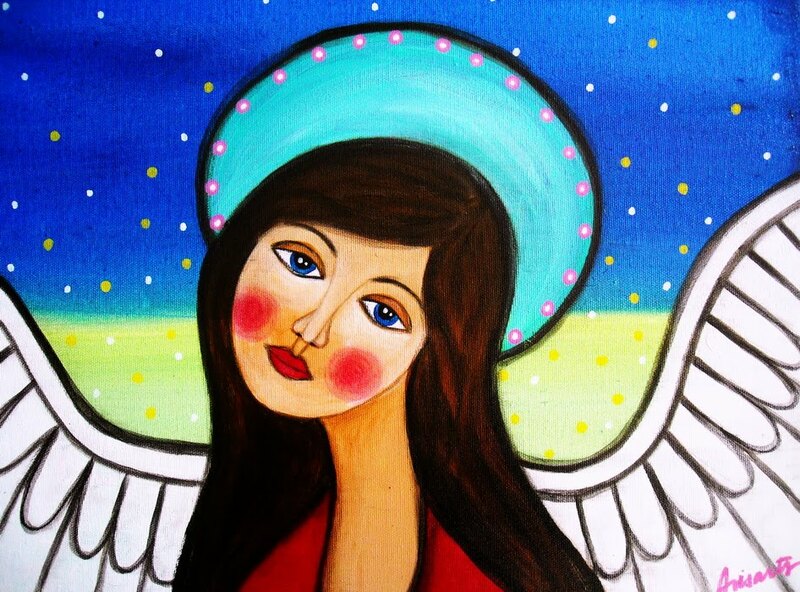 I love the purple,orange,red, pink and aquamarine that i have used on this painting. This artwork is also being sold as postage/stamp on Zazzle (USPS). I hope you enjoy looking at this tree as much as I do. It is now hanging in my room...until i ship it to the winning bidder. 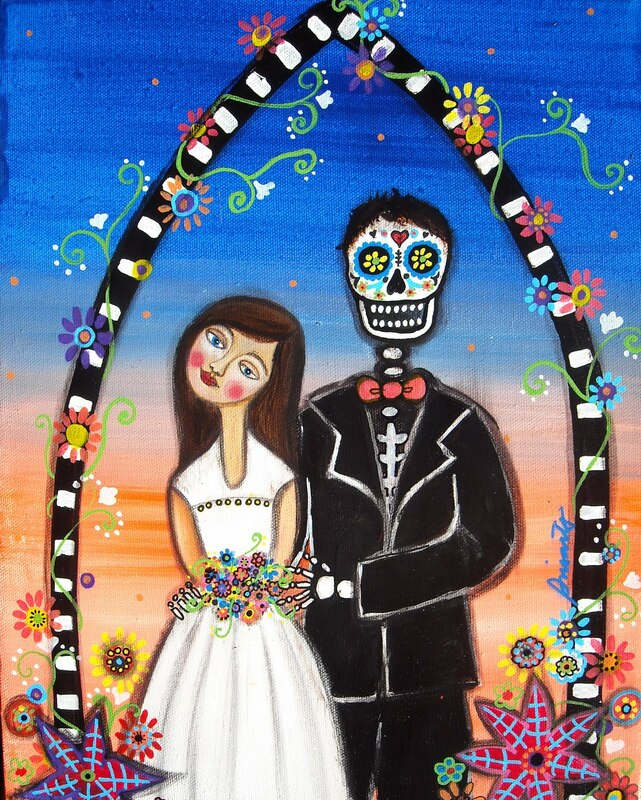 Dia De Los Muertos "The Wedding"
This is done in acrylic and oil on 11 x14 stretched canvas. "The Wedding" of the Day of the Dead. Check art on Ebay. This was done using acrylic and oil paint in 11x14 inches stretched canvas. Design of her skirt was inspired by a little girl i saw at church last Sunday. She was wearing her sunday dress. I liked the colors and the flowers. It looks so dainty and happy. Check art on Ebay Store. 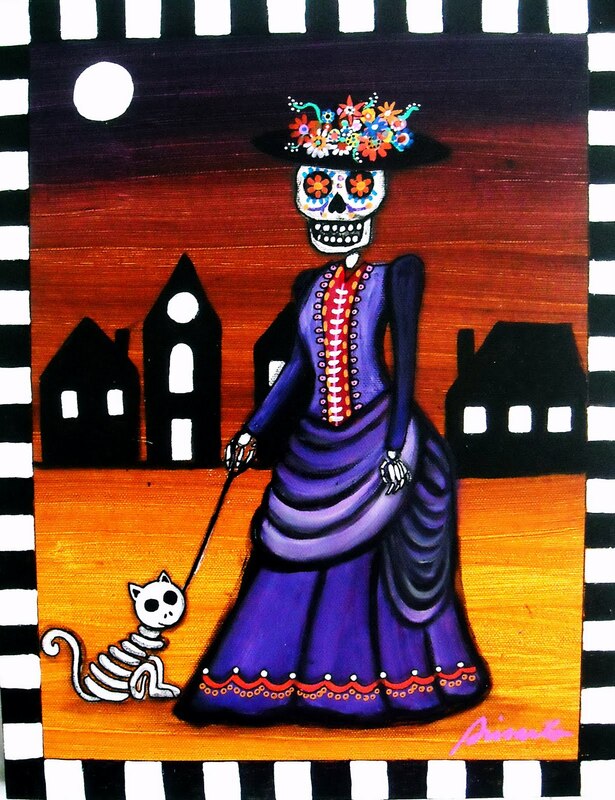 Here's a Day of the Dead painting which i entitled "Madame". I always ask Jeff to give me the title of my paintings. I get a kick out of the names he could think of. He said this look like a Rennaissance Lady and should be called "Madame". This painting is done in acrylic and oil in 11 x 14 stretched canvas. The sides are painted black. Visit this painting at Objects of Art Gallery. 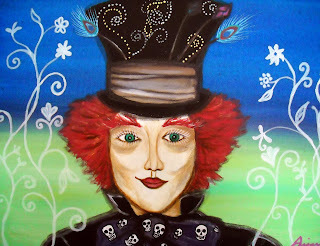 I decided to paint "The Mad Hatter" from Alice in Wonderland. Here's my version of the Hatter in acrylic and oil paint done in 11 x 14 inches stretched canvas. Visit this painting on Ebay. This is an original acrylic and oil painting done in 12x16 stretched canvas. This artwork is being sold as postage stamp. Check product at Zazzle.